At the BBC Good Food Show we saw Michel Roux Jr make scrambled eggs in choux pastry pots with chicken royale. The recipe was in the programme, so I’m going to fry my hand at it for brunch today. 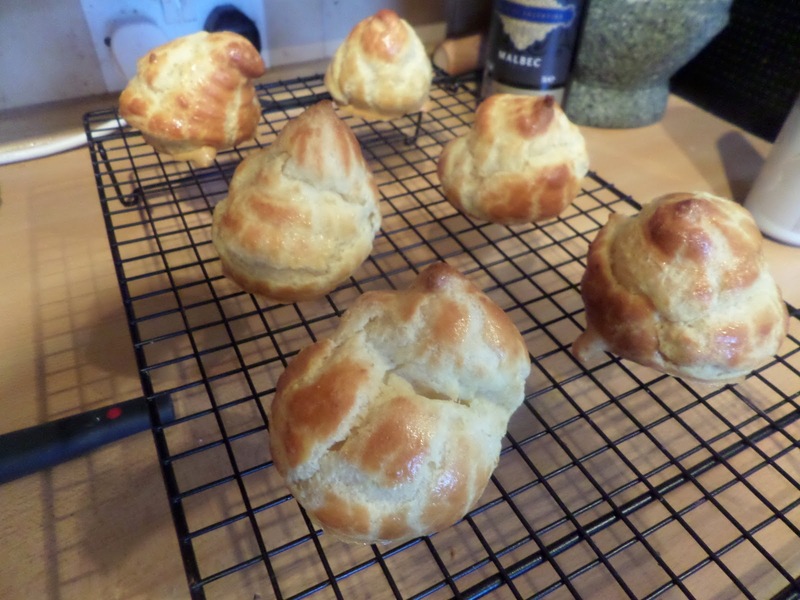 The choux pots… are just large choux buns. 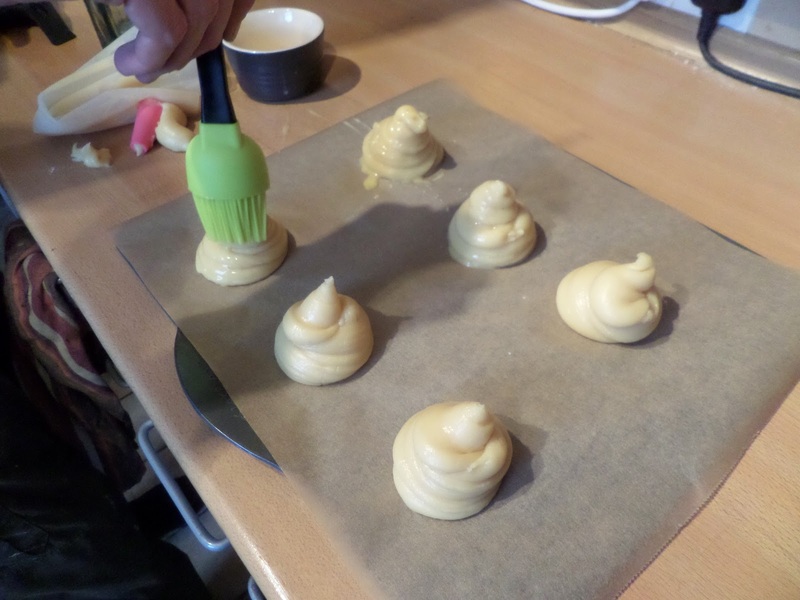 Make the choux, pipe onto baking tray, glaze with egg. Bake, pierce bottoms, cool. Then use a serrated knife to cut the tops off. Sounds easy but it took me about two hours to do this. Michel Roux Jr did the whole meal in 25 minutes! I claim the recipe in the show book didn’t get the time and temps right for the choux buns – I’ll head to a more authoritative source next time. 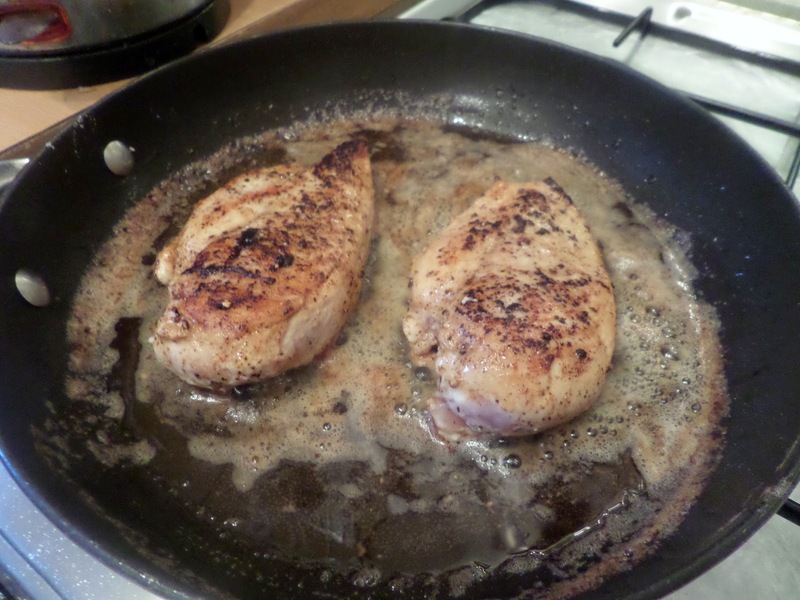 Chicken royale: lots of butter in a frying pan, fry chicken breasts and baste. 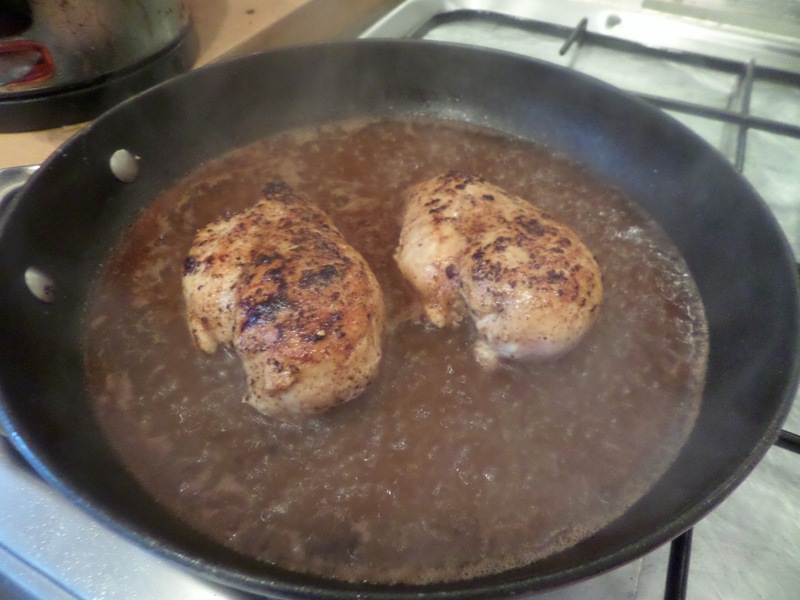 Remove chicken, discard excess butter, deglaze with port, add chicken stock, finish cooking chicken, about 20 minutes. Scrambled eggs: start in a cold pan, with lots of butter, gentle heat while stirring, add double cream. Stuff into hollowed out choux buns. Mmm. The choux buns with egg were, as expected, delicious. Turns out the chicken breasts were the star of the show: deep flavour with a great pan sauce. 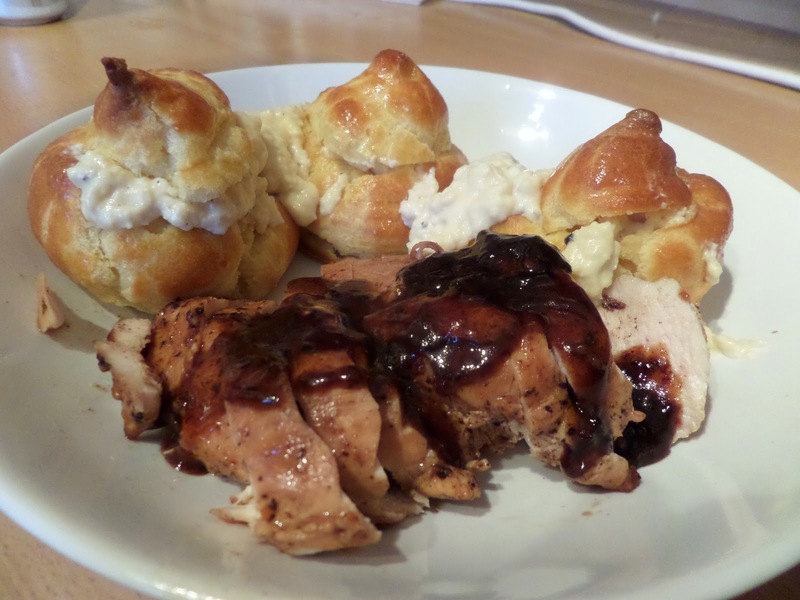 All in all lovely brunch… despite not being finishing until mid-afternoon, and it felt like proper cooking, with the choux buns, basting of chicken breasts and pan sauces. What a delightfully tasty brunch.